The bike is in getting a new pair of tyres, the front is getting a bit near the wear indicators for comfort and the rear is quite squared off. What happens over time is that the round profile of a rear motorcycle tyre gets worn off as you ride upright most of the time. After a while this makes it harder to steer as you go over the new square edge. I’ve decided to go for the new Bridgestone Battlax sport touring tyres the BT-021s front and back. The bike got a pair of their predecessors over 2 years ago and they have been fine for me. The bike was booked in to get the wheels changed with the new tyres but apparently the garage supplier sent BT-020s, so they have a Saturday order in to try and get the bike back to me tomorrow. There is blurb etc about what they’ve done to develop the tyres, but the main change I can see is that the tread pattern on the front looks more funky. Mental title that, I was trying to come up with a short, snappy title to point at a website that shows you the best route for walking between two places in Edinburgh. Walkit.com is great for route planning when you aren’t using public transport or a car. Google maps are fine if you are sticking to the roads, and traveline scotland is great for public transport, walkit fills the gap for a small number of cities in the uk. I’d decided I’d walk to Ocean terminal from the office for some exercise, and the directions were great for making sure I got there and back in the shortest distance. Assuming things stay stable (based on the advanced stats) I will go for a lower noise margin profile. 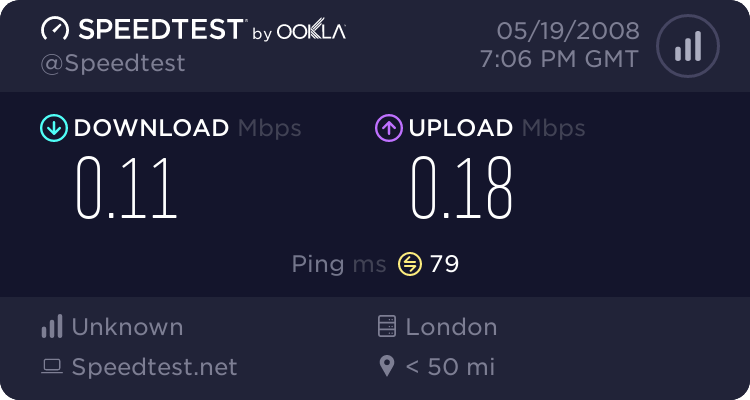 I tried to make myself not do it, but I’ve spent the last week playing around with settings on my router and configuration profile settings with my new ISP to wring the most I can out of my internet link. The sad thing is is that I’ve been playing with settings so much that I can’t remember exactly what the settings are that produced that result. 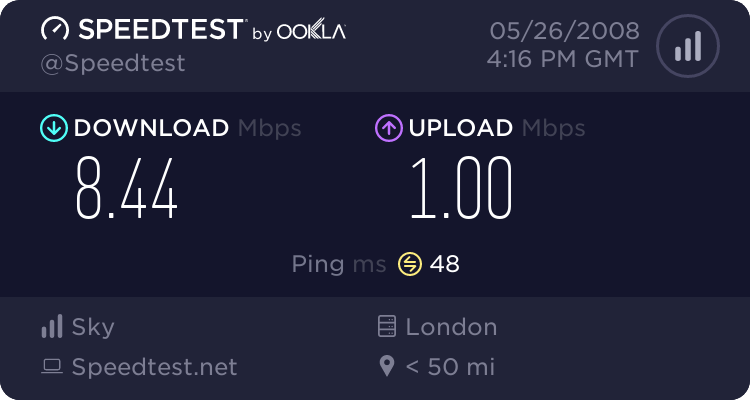 That said though, the one thing I am sure of is that I have now switched to the Be Unlimited (or Be Home) package as the distance I am from my BT Exchange means that I can’t get the full benefit of the more expensive package, so I’ve downgraded so that I get the same speed for £4 less a month. To get improved settings I’ve been evaluating what is called fastpath, or interleaving removal. I was reminded reading a post that ADSL technology originated in cable tv over copper, so some of the technologies (like interleaving) are really targeted at video delivery. Leaving TCP/IP to deal with error correction improves latency. The other thing I have been playing with is signal to noise ratio margin, or at least I think that is what it is. 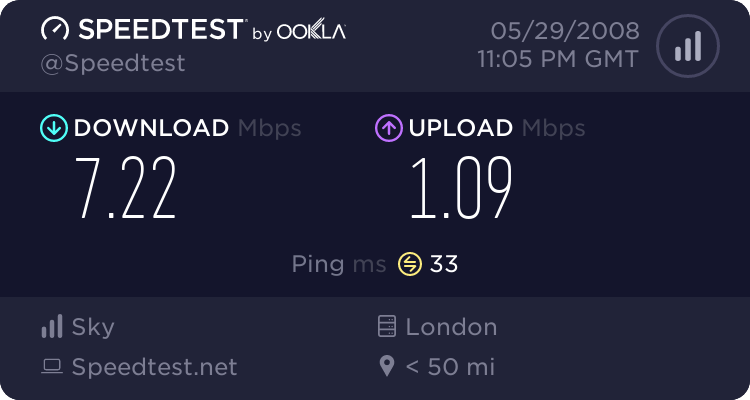 Using a downloaded tool to talk to my router and make it run closer to the wind on this margin ups my speeds to what you see above. Although 128k is the figure Demon quote, you get an illustration above of the congestion on these speed tester sites. Either that or the kids and my proxy server are using bandwidth. Well, a few hours after that post about changing wifi channel numbers and I have learned a little more than I expected about WiFi configuration. Turns out that changing the channel number made a big difference to a particular machine on my network, my desktop PC. The other machines were happy following the wifi around the different channels, but my Dell 5000 (with exactly the same card and drivers as the old Dell 4100) would only work on Channels 1,7,8,9,10,11,12 and 13. As you can guess I was working my way through the channels in sequential order and that big gap at the top lead to all sorts of changes by me to try and trace the problem. Of course the engineer side of me should have said “The only thing that has changed is the channel”, but I was in there rebooting routers and fixing wep keys. Then I discovered a post about channel powers and worked through the options – that was the issue. But what was really confusing was that everything else was happy reconnecting, just not the machine I was using. Strange. 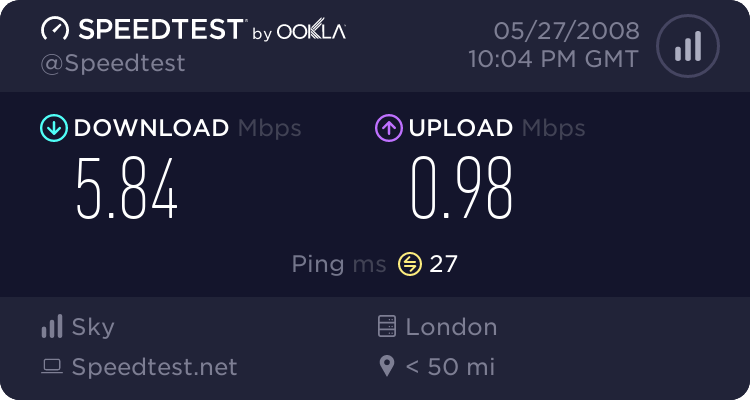 So I’m sticking to channel 7, which has the best connection speed.